Pest off spray by Guard ‘n’ Aid comes in a ready to use plant spray or concentrate designed to protect your plants against a variety of pests which can attack and harm or even kill your plants. Pests such as Aphids, Spidermite, blackfly, Greenfly, White fly and more will have terrible effects if left untreated or not prevented. Pest off is prepared from Pyrethrum which is an excellent pest aid solution. To ensure best coverage you will need to spray on the upper side and the underneath of leaves. Do not spray directly on to blooms. This product is non-toxic, repeat treatments may be required. 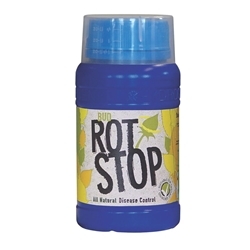 Concentrate solution comes in a 250ml bottle and can make 22x 750ml foliar applications.